Community pharmacies will discuss pressing issues such as medical plans and pharmacy benefits managers. 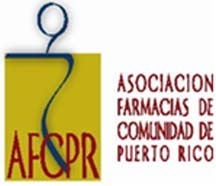 The Puerto Rico Community Pharmacy Association will celebrate its 33rd convention from July 6-9, when they will discuss the challenges facing community pharmacies while they continue making the necessary adjustments to move forward. “The convention is an opportunity to continue training pharmacists and pharmacy owners on clinical aspects and it provides us with a forum to discuss issues affecting our pharmacies and our patients,” said Idalia Bonilla, president of the organization. Among the new topics of interest to the pharmaceutical staff to be addressed at the event are: biosimilar medicines; infection control; new asthma metrics; vaccination services for the over-18 population; and important aspects of the Pharmacy Act. The trade group, which has been active on the legislative front, will highlight bills will under evaluation at the Legislature in the coming months. “In the general assembly, we will be informing members about approved legislation and pending projects in this legislative session, such as the regulation of Pharmacy Benefits Managers, efforts to increase access to funds for Medicare and Medicaid, and other core issues that affect our pharmacies and our patients,” Bonilla said. The trade group’s new board will be elected during the activity to be held at the Ritz Carlton Hotel in Isla Verde. Hey Buddy!, I found this information for you: "Community pharmas to hold annual convention July 6-9". Here is the website link: https://newsismybusiness.com/community-pharmas-convention/. Thank you.